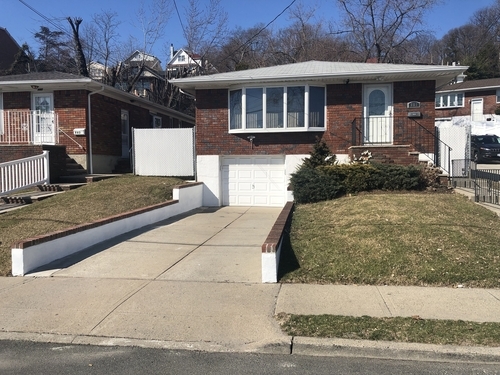 Move right in to this beautiful detached one family brick conveniently located in the Emerson Hill neighborhood of Staten Island. This sprawling home situated on a 40x100 lot, features a modern eat-in kitchen with granite countertops, living room, dining room, three bedrooms and 2 baths on the main level. The spacious finished basement with separate side entrance and 3/4 bath is perfect for family room or office. Garage and private drive in front. Additional features include new hot water heater, large backyard, updated windows, central air and attic. Owner will listen to all reasonable offers!